The management of intellectual capital (IC) is considered as a highly promising approach for non-profit organizations (NPO). However, lack of in-depth understanding about the issue and practical tools to support management persists. IC research in the case of NPO’s is still rather generic and conceptual. This paper makes a contribution by describing the practices of IC management in this particular context. The paper describes one possible approach to recognize the key intangibles of non-profit organizations. 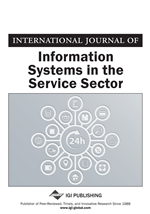 This approach was applied in three case organizations in order to illustrate the significance of IC from the viewpoint of value creation in services. More generally, the paper illustrates first, the necessity to concretize the strategic perspectives of IC management and second, the need for measurement tools that enable the monitoring of IC. During the last few years interest in intellectual capital in the non-profit sector has increased. The central role of intangible resources in this sector has been recognized and the literature presents several approaches that link intellectual capital to the context of non-profit organizations (e.g., Fletcher, Guthrie, Steane, Roos, & Pike, 2003; Guthrie, Steane, & Farneti, 2009; Kong, 2007a, 2007b, 2009; Kong & Prior, 2008; Kong & Thomson, 2006; Sillanpää, Lönnqvist, Koskela, Koivula, Koivuaho, & Laihonen, 2010). Even though the central role of IC in non-profits has been recognized, the literature remains at a rather conceptual level with only some empirical examination about the IC or IC management in the context of non-profit organizations. In general, IC literature has recognized and highlighted that the success of organizations depends on their intellectual capital and several models for classifying, measuring and managing IC have been introduced (e.g., Edvinsson & Malone, 1997; Sveiby, 1997; Roos & Roos, 1997). The practical applications of IC management have concentrated mainly on large for-profit organizations. However, the importance of intangible resources is not limited to big companies. Many small and medium size organizations are highly knowledge-intensive (e.g., Alvesson, 1993; Miles et al., 1995), or intangibility and management of knowledge assets are for other reasons highly relevant to them. This paper focuses on non-profit organizations operating in the field of welfare services. The paper describes three IC management development projects of non-profit elderly care organizations and thereby operationalizes the strategically oriented IC approach in the given context. The organizations studied are examples of fairly small organizations with relatively limited development resources. From the viewpoint of IC management their information needs are rather simple, and correspondingly, their measurement culture is not very sophisticated. Therefore, the measures and respective managerial tools and processes should not be too complex nor resource consuming. The earlier literature has recognized the significance of intellectual resources for non-profits and suggested IC management as a promising approach to manage these resources (e.g., Kong et al., 2008). It also suggests that non-profit organizations can successfully adopt managerial approaches and tools from the for-profit sector (e.g., Ramirez & Janiga, 2009; Beck, Lengnick-Hall, & Lengnick-Hall, 2008). However, empirical experiences of applying IC management in these organizations are still scarce. Therefore, the literature has called for more detailed analysis of IC factors and demanded practical measures that would support the IC management in non-profit organizations (Sillanpää et al., 2010). Originating from this, the first objective of this paper is to report which intangible resources are the most important for non-profit elderly care organizations from the viewpoint of their value creation processes. The second objective arises from the first one and from the overall purpose of illustrating the significance of IC in non-profits –how can IC in these organizations be managed in practice? In order to achieve its objectives, the paper describes different phases of the development processes that were carried out in the case organizations. The rest of this article is organized as follows. In the next section, the current understanding of IC in the context of non-profit organizations is briefly reviewed and a conceptual framework for analyzing their value creation is presented. This is followed by descriptions of the empirical setting and research methodology. Empirical examination of three case organizations is elaborated in the following section. Finally, analysis and conclusions are presented.